My nephew, Trey Ratcliff, has one of the most popular travel/HDR photography blogs in the world, Stuck In Customs. 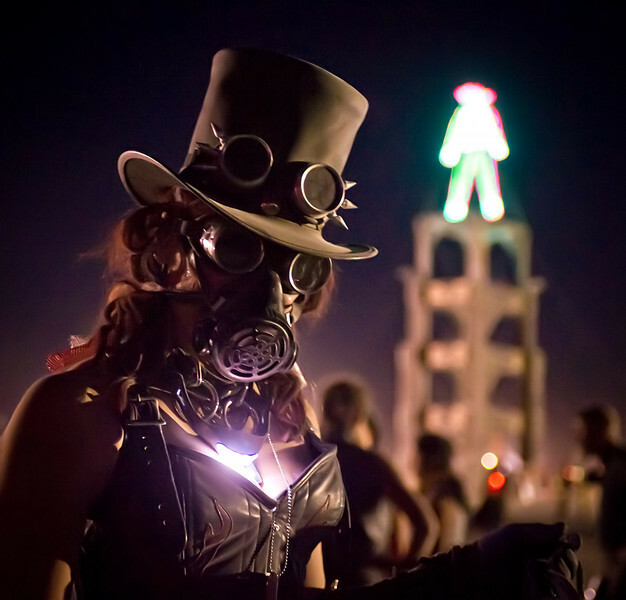 Trey took a little trip to Burning Man last week and took this awesome photo at night. Doesn't this image remind you of a character in a steampunk novel? The thought occurred to Trey as well, who just finished reading Cherie Priest's Boneshaker after I turned him on to it. Love everything about that costume, but the cherry on top is that light on her chest. Nuff Said!